Red Ribbon Week is the our nation's oldest and largest drug prevention program. This program reaches millions of American's during the last week of October every year. By wearing red ribbons and participating in community Anti-Drug events, young people pledge to live a drug free life and pay tribute to DEA Special Agent Enrique "Kiki" Camarena. 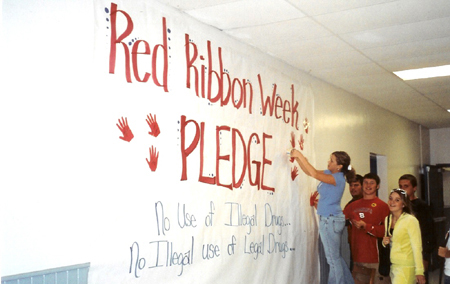 Visit www.justice.gov/dea/ongoing/redribbon_factsheet.html to view the full story behind the history of Red Ribbon Week. Red Ribbon Celebration Pledge - "I pledge to make healthy choices, to be a positive role model for my friends, and to support the mission of Red Ribbon Week. No Use of Illegal Drugs, No Illegal Use of Legal Drugs". Listed below are some helpful websites to help you plan Red Ribbon Week events in your school, church or community. You can do a simple search for Red Ribbon Week on your computer it find more valuable resources. Each year Clayton's Lesson along with the Roane County Anti-Drug Coalition work to assist schools in our area in their participation in Red Ribbon Week. We supply them with materials needed in order to participate along with ideas on hosting events and providing them with guest speakers. 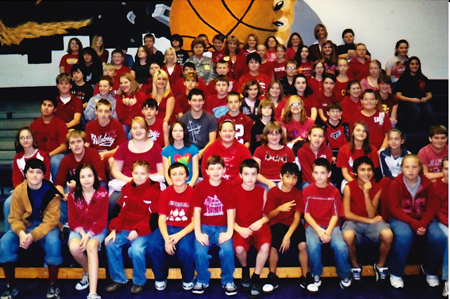 October 2005, Clayton’s Lesson helped in the organization of placing over 300 students at Oliver Springs High School onto the football field in order to spell out DRUG FREE. 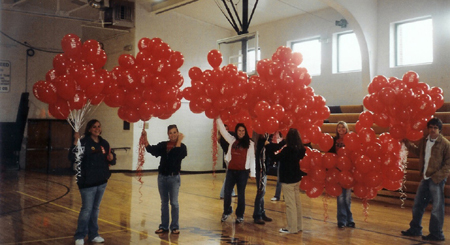 Once in place the students released red balloons while an aerial photograph was made. The pilot was a friend of Clayton’s mother and two local reporters were allowed in the helicopter in order to take the pictures. One of many partnership events with Roane State Community College during Red Ribbon Week. 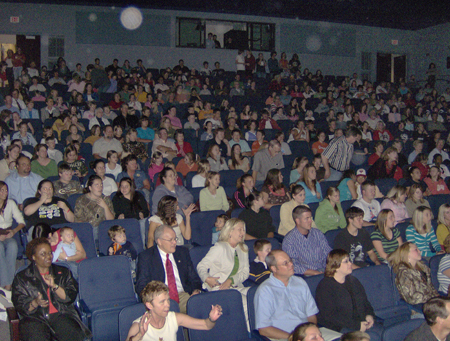 During this event we brought the acappella group The Standards to Roane State theater for a concert. This group delivers a crowd pleasing performance with an anti-drug message at the end. 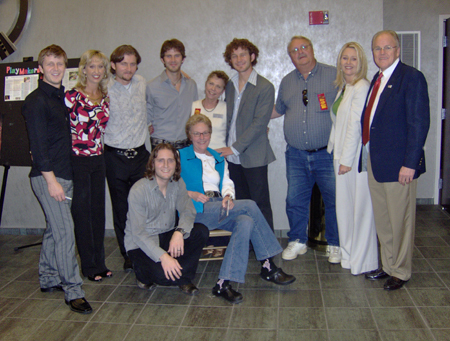 Visit www.thestandards.com for more information about the group.